One of the holy grails in mental health assessment is the search for some kind of objective test that can accurately diagnose psychiatric disorders. While the literature is full of genetic, imaging, neuropsychological, and other factors that show statistically significant links with many psychiatric conditions, none has proven robust enough for clinical use. However, the Food and Drug Administration (FDA) just approved the first electroencephalogram test (EEG) test to help diagnose ADHD. 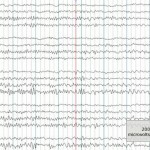 The procedure is called Neuropsychiatric EEG-Based Assessment Aid (NEBA) and reportedly lasts about 15 to 20 minutes. 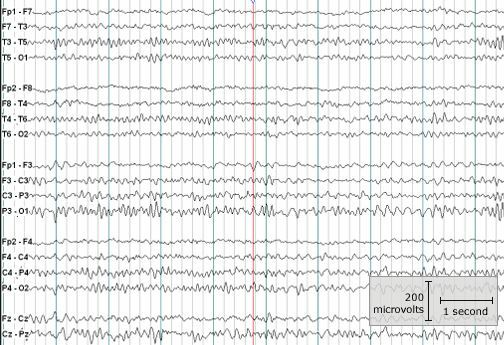 It focuses on the combination of theta and beta waves produced by the brain. An increased theta/beta wave ratio has been found to be related to ADHD. The FDA approval came after the makers of the test, NEBA Health, studied 275 youth with ADHD and examined the utility of the test above and beyond traditional methods such as clinically reviewing the diagnostic criteria and applying behavioral questionnaires. Unfortunately, these data are not publicly available, and many experts remain quite skeptical about how much this test will improve the accuracy of the diagnosis. You can read the FDA announcement here which states that the test should be used in conjunction with a “complete medical and psychological examination.” The statement goes on to say that the procedure allowed for a “more accurate diagnosis” of ADHD when used in addition to other diagnostic measures, but no details are provided. The press is all over this story but nobody seems to have much additional information other than what is presented here. Having objective tests to aid in the diagnosis of psychiatric disorders and their treatment would be a major advance that likely is coming soon. Such tests could be beneficial in many ways. In addition to improving diagnostic accuracy, they could reduce stigma and might even help improve access to care, especially if having reliable “procedures” finally gives the mental health field something to bill other than time (which is reimbursed miserably). Nevertheless, in our clinic we aren’t rushing out to buy our system just yet, and will wait until more information becomes available for scrutiny. This entry was posted on Tuesday, July 16th, 2013 at 9:42 am and is filed under ADHD, Neuroscience. You can follow any responses to this entry through the RSS 2.0 feed. Responses are currently closed, but you can trackback from your own site.